4k00:18Homemade peach juice with ice cubes and rosemary leaves in glass on marble stone background. 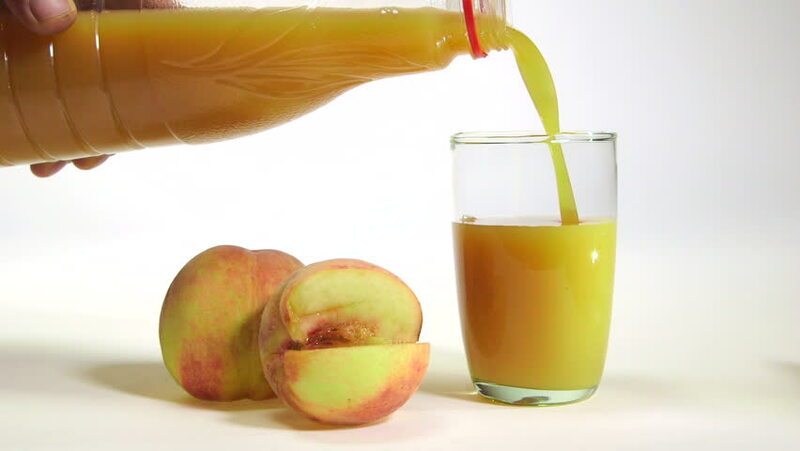 hd00:17Peaches juice pouring in a glass with tree blurry background . Preparing juice. Slow motion. hd00:17Milk, beer, chips and a red apple. hd00:10Fresh orange juice being poured into a drinking glass that sits next to a fresh, single orange. hd00:19Apple mango and juice sliding on wood table top on white background.